Thinking of making the switch to all natural soap but afraid to take the leap of faith and buy a bar? This set will allow you to sample our various options to figure out which one is your favorite. 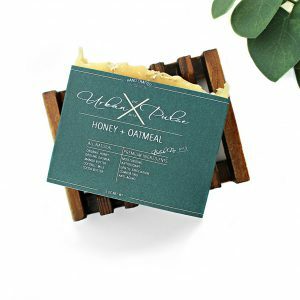 Allowing you to test out the scents, exfoliation, nourishment and lather of each soap before completely committing to a full five ounce bar. Or maybe you’re like me and you’re always on the go? This set of mini soaps are a handy travel companion to conveniently take anywhere with you. Enjoy! Coconut powder provides a rich, bubbly lather. Cocoa butter is known for reducing signs of aging, stretch marks and scarring. High in fatty acids to hydrate and improve skin elasticity. Creating a protective barrier to hold in moisture for all day hydration. Coconut oil is naturally antimicrobial, antibacterial and absorbs quickly leaving skin silky smooth. Net Weight: Approx. 2.5 oz Total. Size: Each piece is handcut into approx. 2.5" x .75" x .5" sizes.